Why buy cooking spray that has a little bit more that just pure olive oil? I mean, whats in the new chicken wrap aerosol cans other that oil? Have you checked the ingredients, if its more than 3 things, its too much. If your gonna cook with it, do it healthier. Not only is it healthier (nothing coming from an aerosol can, is healthy in my eyes) but its WAY cheaper. Take a empty spray bottle and pour the olive oil in it to use as cooking spray, Genius right? however I know I am getting familiarity everyday by reading such good content. regular basis, if so then you will without doubt obtain pleasant knowledge. 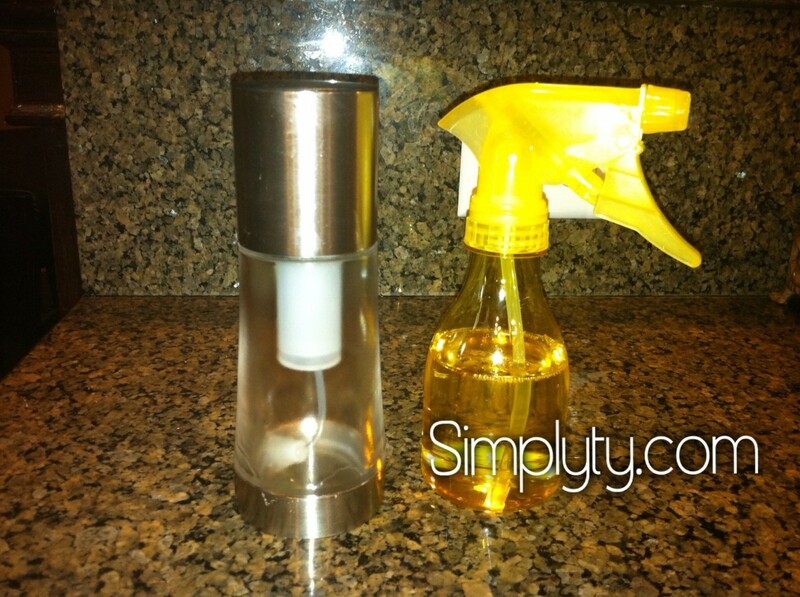 Thanks for finally talking about >Home made Cooking Spray Simply Ty <Loved it! I feel we could greatly benefit from each other. If you happen to be interested feel free to send me an e-mail. Hello, just wanted to mention, I loved this article. It was inspiring. still new to the whole thing. Do you have any helpful hints for rookie blog writers? actually recognize what you are speaking approximately!